All of the large animal charities are partnering with industry to promote happy exploitation. 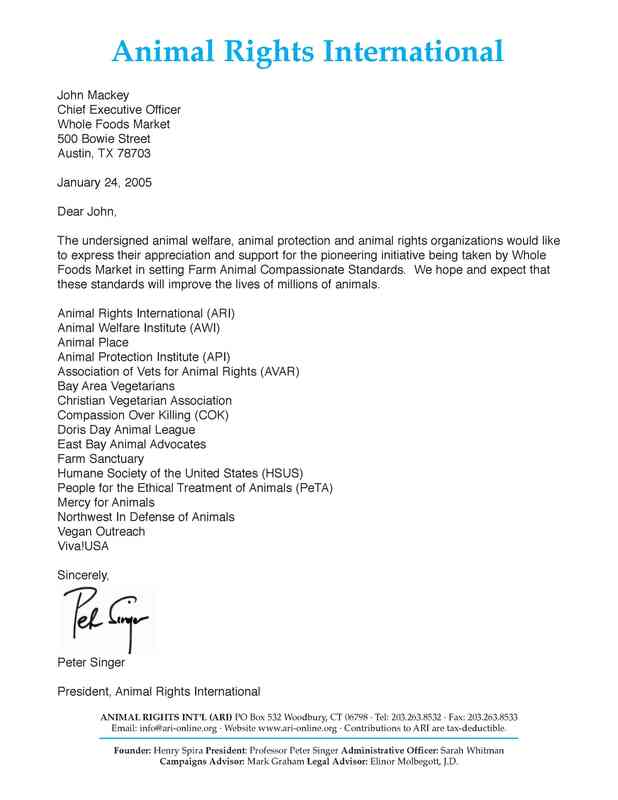 * a recognition that human rights and animal rights are inextricably intertwined and that sexism, racism, heterosexism, or violence have no place in the animal rights movement. 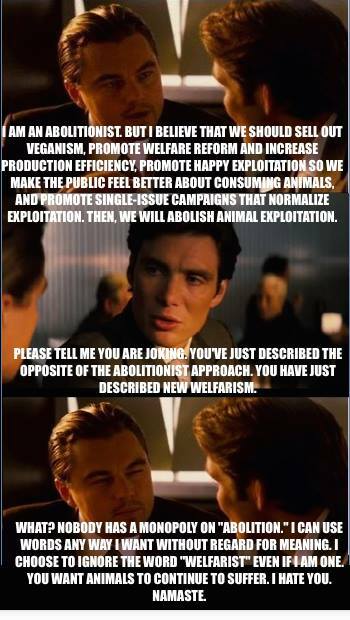 All of the large animal charities and their supporters simultaneously claim to be “abolitionists” who support welfare regulation, happy exploitation, single-issue campaigns, and reject the human rights/animal rights connection. The level of confusion is profound. To those who claim that no one has a monopoly on “abolition” and they can describe themselves as “abolitionists” even they support welfare reform, happy exploitation, and single-issue campaigns, I would reply that no one has a monopoly on “apple” either. You can choose to call a banana an apple if you want. But that does not mean that a banana is an apple.